have a little one on your christmas list? one obsessed with wheels and things that go!? this is the book for them. i promise. author and illustrator brian biggs recently contacted me knowing my little boy might be his target audience. i opened up the link and his website alone had benji (hurriedly climbing on my lap) oohing and ahhing. 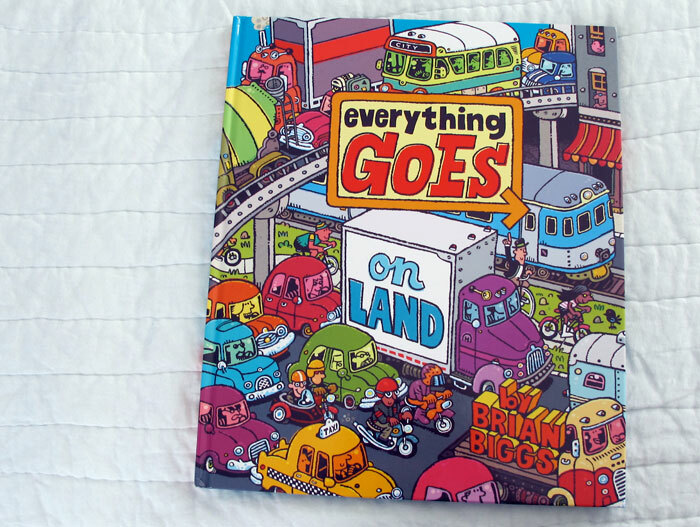 we excitedly looked forward to receiving his new (and first solo) book, Everything Goes: On Land and it did not disappoint. 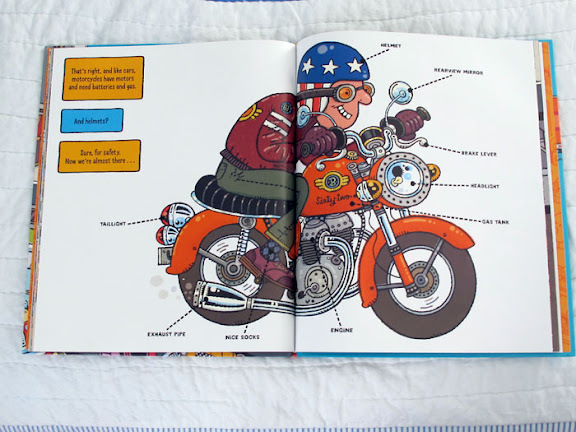 the illustrations are clever, colorful and creative. 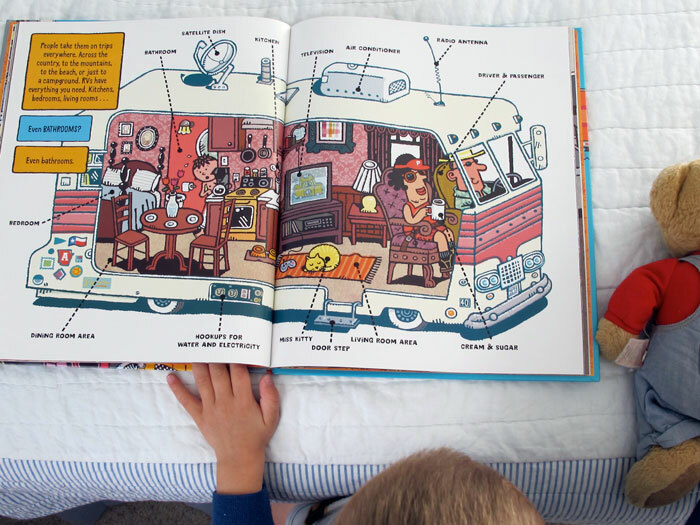 we look at it on long car rides, before bed, at the breakfast table and even tote it to church. i loved the way brian described it to me, it combines the sensibility of Richard Scarry, Where's Waldo and I Spy books. this is definitely a page-turner that benji will pour over and discover even more interesting / hilarious details in as he grows up. this post is part of my home is where the ART is series. the artwork is his, but these opinions are all mine; learn more about my handpicked sponsored series here. 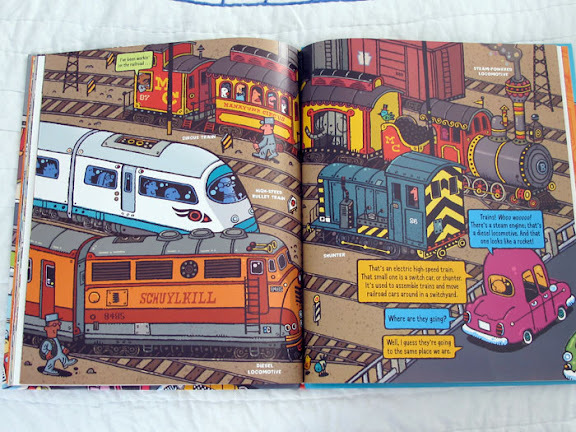 what gave you the idea to make this kind of cleverly detailed book? It happened on a couple of levels. First, there was the fact that I am a parent of a twelve and ten year old. I spent many many hours reading books to and with my kids that didn't hold their interest, or worse (for me) didn't hold my interest (after all, it was I who had to read the book over and over again). I loved Scarry as a kid, and I loved books by David Macaulay, maps, diagrams and that kind of thing as I got older. I've illustrated a lot of books written by others, but when I got a chance to be both illustrator and author, I knew I wanted to make something that I would have wanted. A lot of the games and details came from the fact that I had to sit here in my studio and draw the thing. It was always going to have the complex pages of cars and pedestrians, and it just seemed natural to hide stuff all over the place. Often, the heavy creative work is pretty much completed on a book by the time one gets to actually creating the art for it. So in this case it helped to keep me on my game and having fun as I was drawing. In addition to the birds and numbers and things that you mentioned, there are dozens of references to people and things close to me, as well as many Philadelphia shout-outs. what is an essential must-have for your creative work space? Maybe it's a bit mundane, but a really good stool on which to sit is important. Generally, the stuff around me is stuff that in some way is meaningful. One of my desks I built myself, another is an old drafting table I found in a flea-market in San Francisco. I've never been happy working in a space that is full of generic furniture. I like stuff with personality. I also like having a big bulletin board. But really the most important thing in my creative workspace is access to coffee. any advice for hopeful writers / illustrators? I think it's important to write and draw for oneself before thinking who the audience is and what they want. Unless you love what you do and make, no one else will. I also think it's important to know that if you are making good work and making sure the people whom you want to work with see it, you'll find your way. The business is always on the hunt for new talent and good stories. p.s. Everything Goes: In the Air will be out in a year, with By Sea a year after that. hip, hip! When I was little I always love books in which there is a lot to discover. Do you know the books by Ali Mitgutsch? I am not sure if you can get them in the US though. But they are awesome, so much to discover on each page. I am sure Benji would love them. oh I bet my 3 year old nephew will love this book - he is obsessed with vehicles. This is going on my Christmas list! Thanks for the recommendation! what a great post! Thanks for the inspiration...and LOVE this book! p.s. come check out my great necklace giveaway!! I think you'll love it! 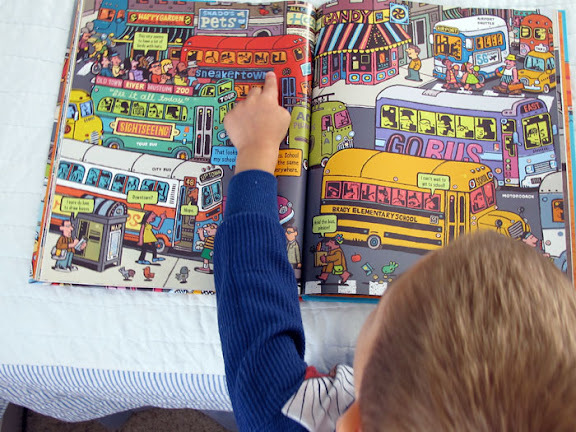 My little one also loves the Richard Scarry books: 'What Do People Do All Day' and 'Cars and Trucks and Things That Go'. 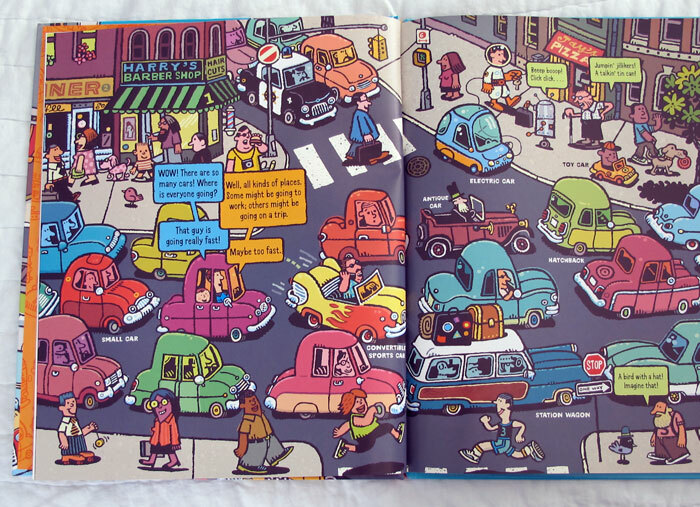 There is also a fab 'Busy Book' sticker book that my 3 year old devoured!